We all know what it means to create content and why so many organizations have invested in content marketing. Yoav is the co-founder and CEO at Uberflip and is responsible for driving the mission, vision, and goals of the company. He spends considerable time working with his team to continuously delight and surprise Uberflip's customers. Learn how to effectively distribute your content using a combination of social, organic search, email, and paid channels. 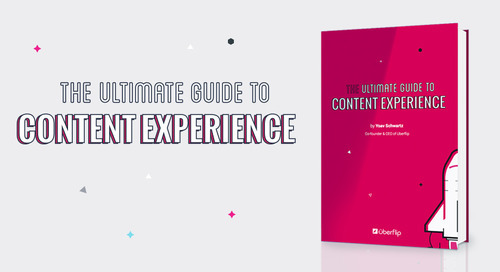 Learn how to generate content insights by gathering analytics, implementing scoring, proving ROI, and creating comprehensive reports.